Zabon: the Iranian favourite. 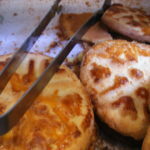 A lightly glazed pastry tongue. 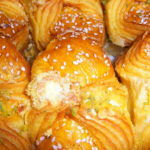 Papillony assali: syrupy saffron puff pastry butterflies. 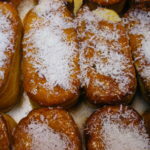 Papillony ardi: more butterflies, these ones dusted with icing sugar. 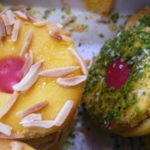 Marzipani: almond filled saffron pastry drenched in rosewater infused syrup. 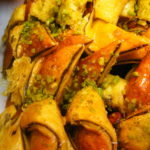 Harchangy (crabs): pastry stars twisted with cocoa and nibbed pistachios. 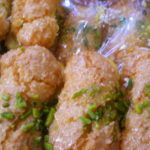 Keshmeshy: Persian squashed fly biscuits. 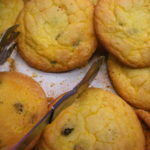 Actually, raisin and saffron cookies. Sweessy (Swiss? ): Persian jammy dodgers. 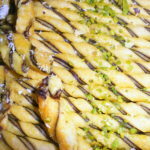 Sigari: glazed pastry plaits garnished with pistachios. Allemarny (German): more jammy dodgers. 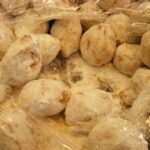 Sepah salari (soldiers’ hats): crumbly cookies made with ground almond. Nahli: sticky pastry horseshoes studded with cocoa. 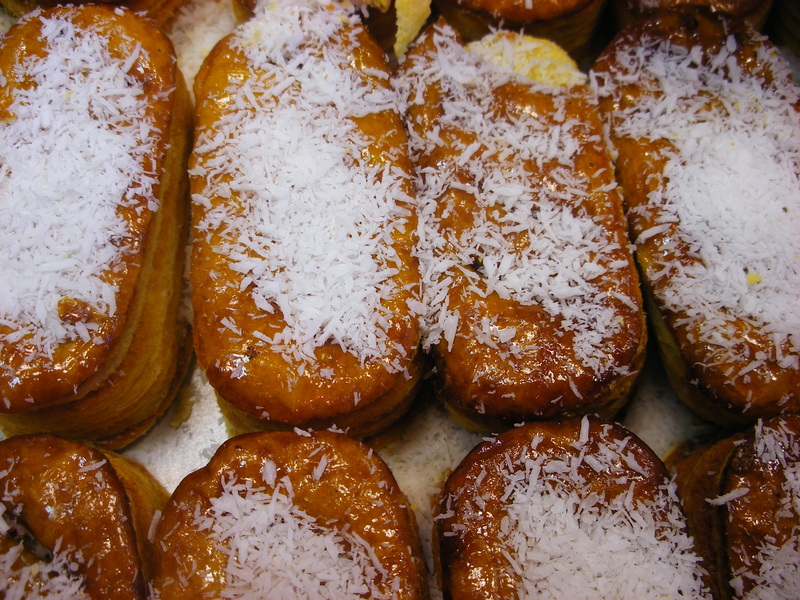 Kareh narghili: coconut macaroon fingers, one of a trio of coconut pastries. 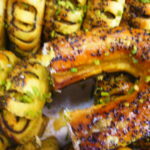 Ghotab: divine walnut pastries infused with rose water and cardamom. We are asked to explain to our lovely customers what each of our range of Persian shirinee (pastries) is about 5 squillion times a day. Well, a few times anyway. Which is just fine and dandy, as that is what we are there for, and we are proud of our produce. But we thought this gallery would help to de-mystify them, and also help you give your calorie intake a name. 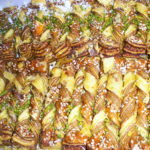 The word shirinee refers to a collection of about twenty types of cookies and pastries which are unique to Iran. Sure the Persians have paklava, and loukoum: they even have some fairly nasty chocolate. 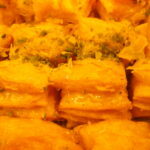 But it is these shirinee which are brought out on special occasions, and for which the country’s bakers are renowned. No – we don’t make them ourselves. In fact, the recipes are a teensy bit secret, and we cannot actually guarantee that any of them are vegan, but they are certainly vegetarian. Probably best avoid if you have a nut allergy (but that could equally apply to Iran as a whole). Anyway, enjoy, and memorise, as we reserve the right to test you on them the next time you pop in. I had ghotab for the first time last night! Yum! And I’m glad you have photos of ghotab, because I ate mine before I could take a photo of it. Thank you! 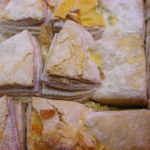 I have been trying different recepies found online but do not seem to be getting keshmeshi right so I though maybe you could help since you are far away and would consider give away Your recipe. I live in Norway and do not own a shop and do not have a plan to open one. 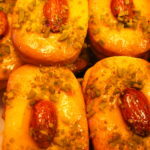 There is a persian bakery that sells them here that is very expensive. I doubt they will give away their recipe. Plz help.